Qantas customers have requested exercise bikes and virtual reality entertainment among other suggestions for the airline’s ultra long-haul flights between Australia and Europe. Qantas currently flies non-stop between Perth in Western Australia and London, a 17 hour journey, but is looking ahead to the introduction of non-stops from the east coast of Australia to London and New York. The flag carrier is studying new long-haul aircraft that will provide the range needed to fly the 20-hour Sydney-London route from 2022. It expects to announce a decision later this year about which aircraft type it will operate, with the Airbus A350 and Boeing 777X both under consideration. Qantas has used focus group research and asked passengers who have flown the direct London-Perth service about their experience and get feedback. The research was carried out in conjunction with Sydney University’s Charles Perkins Centre. “Customer feedback from the Perth to London flight has exceeded expectations, especially in relation to the time saved by skipping the traditional stopover and going direct to their destination,” Qantas International’s chief executive Alison Webster said. “Our job now is to determine where the most demand is and create this cabin in a way that makes it both affordable for customers and commercially viable for the airline. Everything is on the table and we are excited about what innovations may come from this research,” Webster added. 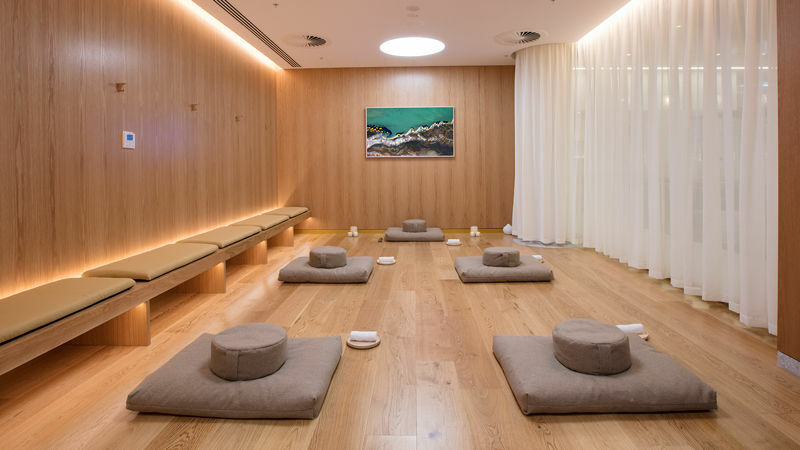 Qantas already offers stretch classes at the Perth transit lounge for passengers on the London non-stop flight, with an 80 percent take-up rate reported. A new inflight menu designed by Sydney chef Neil Perry, plus specially designed and timed lighting to promote wake and sleep time have been introduced for the 17-hour flight. The next phase in ‘Project Sunrise’ is further research and more customer feedback to allow the airline’s designer David Caon to create aircraft cabin and airport lounge features incorporating health and wellness initiatives. “Customers are sharing some incredibly imaginative ideas, which is an exciting challenge and helps us to think outside of the box to redefine the ultra-long-haul experience,” Caon said.